A recent article by John Simpson in the Business Telegraph highlighted the need for universities to do more to prepare young graduates for the world of work. In an environment where knowledge economy expertise is vital for career success his stimulation of interest in this issue is to be welcomed for it goes to the very core of what Ulster University Business School strives to deliver. Professor Gillian Armstrong highlights the progressive approach to business engagement across UUBS. 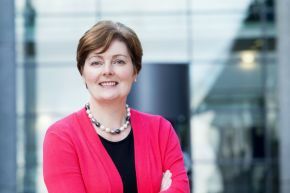 Gillian is Professor of Business Education and Head of the Department of Accounting, Finance and Economics within Ulster University Business School.